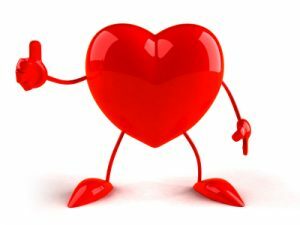 Love & Healthy Heart Connection! Connecting to Love makes a heart grow stronger! 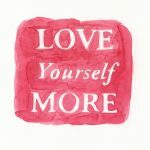 I know you’ve heard about an apple a day keeping the doctor away, but did you know self-care, (aka self-love) can help keep stress away? It’s true. And it really is quite simple. Ignore your own needs, desires and wants and you are bound to feel agitated, frustrated, resentful and stressed. When we ignore our own needs, we are disconnected from love. When we are disconnected from this basic but high energy feeling of love, we feel stressed. Our self-talk can be an indicator of how disconnected we are. Do any of these thoughts/self-talk sound familiar? I wish I could run away and be by myself all weekend. Ha, eat healthy foods? I don’t have the time to plan my meals. The list could go on and on. The point is, if any of those thoughts or similar ones resonate with you and if you are continually filling your mind with a list of things to do, judging yourself negatively and not attending to your needs, you have become disconnected from YOU. This tends to keep the cycle perpetuating with more negative thoughts, more distress, and more emotional upsets. You are saying you count. 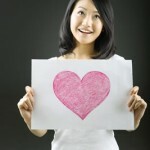 You are giving voice to your own needs and declaring your love for you! And, you reduce your stress thoughts significantly and naturally reduce your stress levels. Loving yourself is not egotistical or narcissistic, it’s a necessity, if you want to feel less stressed, more calm and connected to your own innate joy. Feeling love for yourself and engaging in conscious self-care, is essential for your heart’s health, something you don’t want to ignore. Stressful thoughts that arise from ignoring one’s own needs, produce those negative stress hormones that have a negative impact on your cardiovascular system. Blood vessels become more rigid, blood flow is more restricted and the heart rate is usually accelerated. This is all in conflict with a healthy heart. February is the American Heart Association’s “Go For Red” month, their logo for heart care for women. Unfortunately, women, the ever-giving caregivers, are giving their hearts over to this dis-ease, much too frequently, as they forgo their own needs for the needs of others. It’s certainly good for us to take care of others, there are many health benefits in doing so, but not when it’s at the expense of our own well-being. It’s vital that we allow love, respect and caring for ourselves be top priority. You will be so much more available to others, you’ll have less of those “stress thoughts” that cause those distressful feelings and you’ll feel more love in your life and heart. It all starts with you loving and caring for you, which connects you to your ultimate essence…and the essence of LOVE. So, give your heart the love it deserves…give yourself permission to love you, take good care of you and your needs, so you can enjoy your life and be doing what you love to do! Love is in the air-it’s February! Focus on connecting in to love and self-care this month and watch what happens! Breathe it in and give yourself a boost of those feel-good hormones: endorphins. Your heart and soul will love it! 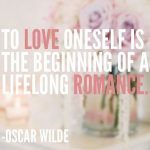 Share your thoughts on self love, self-care and connecting within! De-Clutter Your Mind and Stop the Stress!